between Lake Greeson and Murfreesboro, AR. 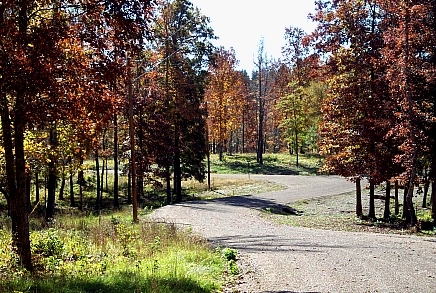 Weyerhaeuser Real Estate Development Company has developed 79 acres along the Little Missouri River and Arkansas Highway 19 into 34 individual lots ranging from a half acre up to 7.8 acres! 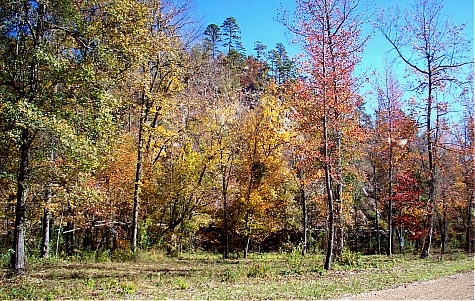 The lots are wooded to heavily wooded, and well arranged along the three county maintained roads - Tellico Trail, Blue Dun Drive and Caddis Court. Murfreesboro city water is run through the development! 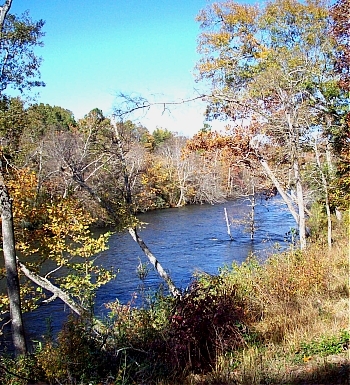 Twenty-three of the lots are within sight of the river, but the developer had the foresight to leave an easement along the water's edge. 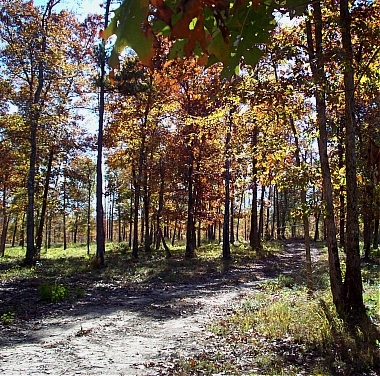 Weyerhaeuser has donated everything below the 400' elevation to the Arkansas Game & Fish Commission for angler access! The AGFC plans to create a trail along the water from one end of the development to the other. This is unprecedented for anywhere in Arkansas! 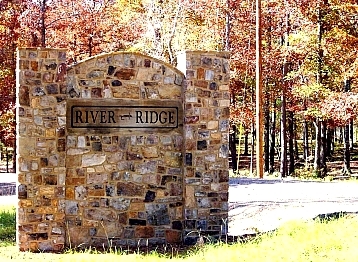 This will give river access not only to the public through the AGFC River Ridge Walk-In Access, but to all of the residents of River Ridge. No one will have "water's edge" property! Many of the sites are level to rolling, but some have precipitous bluffs looking out over the river bed! Also, as part of the AGFC donation there are several acres of intermittent creek bottom and "low ground". This puts a large green space between Blue Dun Drive and the river itself creating a natural wooded area. There are very defined restrictions as to the construction of homes in the development. For example there are minimum sizes for homes as well as types of homes. No pre-fab or mobile homes will be allowed. Most of the home sites will be easily reached from the three streets in the development, but a few of the larger lots will only be accessible off of Hwy 19. Some driveway work will have to be done there. Two of the sites have been designated as both residential and commercial. Commercial enterprises will have to be approved. There is also a 5,000 year old Caddo Indian archaeological site on the rise adjacent to the AGFC parking lot! It has been protected under agreement with the Department of Arkansas Heritage. Of course the entire Little Missouri River bottom is a Native American location! The Ka-Do-Ha Indian Village near town is evidence of that. Looks like the prices are going to be anywhere from $30K to $160K! But you'll need to talk to Jedd Lewis about the specifics. Call him at 318-254-8047. You can get a complete "Bill of Assurance and Protective Covenants" from Jedd as well as plat maps and prices list. The now retired Dan Bogler and Weyerhaeuser Real Estate Development Company have really done this right! From the layout of the roads, to the retention of trees and "green space", to the restrictive covenants, to the awesome AGFC easement! It is going to be a unique development.